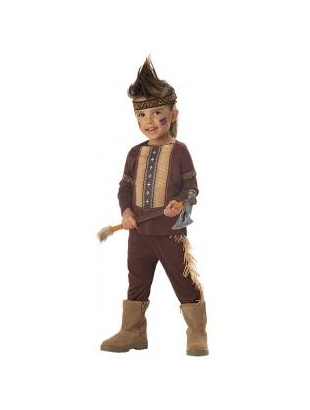 The Lil' Warrior Costume is a complete Indian warrior costume in brown colour. 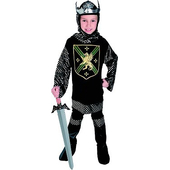 The costume comes with brown coloured full sleeves top with light brown patchwork on the chest and attached arm bands. The costume also includes matching brown pants with tassels on the side and a matching headband to complete the little warrior's look. 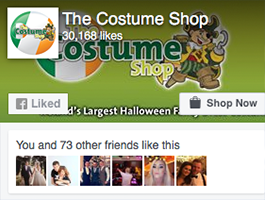 Please note that the boots and toy weapon are not included in the costume but the weapon may be purchased separately.